The University of Groningen proudly espouses its commitment to being environmentally friendly and is regularly recognised for research and other initiatives in the name of greener living. But Arts, Culture and Media professor Kristin McGee argues that the RUG can and must do far more to really ‘walk the walk’ of sustainability. In recent years, sustainability has become a championed goal as well as an often-cited slogan for various activities and initiatives within academia. Happily, the university is supporting campaigns, modes of behavior, and research that promotes sustainability. This is a welcome addition to the competitive, big business slogans of the past decade (initiatives promoted with mottos like ‘top sector,’ ‘excellence,’ ‘entrepreneur,’ ‘use value,’ ‘valorisation,’ etc.). Despite this positive turn, I believe that we at the university can take more concrete steps to better clarify what is meant by this term as well as to ‘walk the walk’ – as opposed to only talking the talk – by acting in more sustainable ways. Because if all we do is tack this word onto our NWO research grants to gain coveted monies, then we fall short of our role as an institution, which can help lead society to live a life which will truly sustain. And of course that also raises the question, ‘What are we trying to sustain?’ The answer: economies, our productivity, the environment, human beings, nation-states, or those other species and ecosystems that are increasingly becoming extinct because of the excessive and dominant rule of planet earth by homo sapiens. Most of us are now aware of, or at least have access to, the dire statistics presented by biologists, ecologists, and climate researchers. If we follow this research, we know that we have effectuated one of the most worrisome periods of human history (itself spanning a mere 200,000 years of earth’s 4.5 billion life-span). According to geologists, in the history of earth, the Anthropocene is our current period, which began some 100 years ago when humans began to radically alter planet earth as to forever transform its fundamental make-up. In this short burst of industrialisation, intensive agricultural expansion, urbanisation, and globalisation, the planet is now segmented into cities, industrial regions, vast (factory) ‘farms’ occupying some 35 to 45 per cent of earth’s land mass, and a tiny percentage of remaining natural habitat. We also know that our human population of 7 billion has increased some 180 per cent since the 1970s and that the majority of wild, free-living, non-human species have been displaced by not only humans but by the some 70 billion confined, highly processed farm animals and the accompanying industrial, highly toxic systems of agriculture produced and maintained to feed them. In other words, the massive alteration of the natural ecosystems in order to implement industrial farming, mining, and urban expansion has led to the sixth mass extinction. Considering the effects of these changes to the earth’s biodiversity, it seems important that universities not only champion the objective findings of scientists who point out such trends but also explicitly make concrete suggestions for how we can begin to restore vital natural resources. In a time of dire ecological crisis (and the possible extinction of humans in the next century), it seems paramount that we quickly move beyond publishing objective and dispassionate figures to making concrete and passionate recommendations for immediate and far-reaching change. While making recommendations such as researching renewable energy sources is an important step, there may be no more effective, immediate, and inexpensive action than making concrete changes in our daily diets. I believe the university could be much more involved in educating its faculties about the devastating and irreversible effects of both consumerism and the production and consumption of animal products. This discussion no longer pertains only to those who promote different diets because of religious, ethical, or lifestyle choices, but it has become fundamentally connected to the environmental consequences of animal consumption because of its vast expenditure of natural resources, including land, water, gas, forests, the oceans, and plants. It affects each one of us. In 2008, the UN’s FAO (Food and Agricultural Organisation) released a study (motivated by the livestock industry) titled ‘Livestock’s Long Shadow’, which linked the consumption and production of animal products (livestock) to climate change and environmental degradation. The most shocking and under-recognised statistic that came out of this report was that the livestock industry (and human consumption of meat) was responsible for more greenhouse gases than all forms of transportation combined. At a minimum, livestock and its by-products are responsible for at least 18 per cent of all greenhouse gas emissions, in contrast to only 13 per cent of gases produced from transportation including cars, planes, trains, buses, and shipping. This was not the only study to put forth such statistics, but certainly one of the most conservative (see studies in Nature, by MIT, and by several international universities; see also the documentaries Meat the Truth and Cowspiracy). Considering the profound implications of this study and many others, it remained surprising and almost mystifying why this was not the single most targeted issue by governmental leaders attending climate conferences (including the recent Paris summit) as well as within educational institutions such as our university. If we begin to understand that one of the best strategies for reversing the impact of global warming and limiting resource depletion would be a large-scale transition to a vegetarian or vegan diet, and if this were sponsored and supported by governments and educational institutions, then why wouldn’t we dedicate all of our resources to promoting such a course? Does it have something to do with our own inability to accept that consuming less meat is a fundamental step and lifestyle change (an even more ‘inconvenient truth’)? To do anything less is to live in complete denial of the earth’s inability to meet the growing demand for meat, which is expected to double by 2050. Currently, nearly 45 per cent of the planet’s land mass has been taken over for meat production (‘Livestock and climate change’). Given this pattern, by 2050 we will require two full planet earths to provide the land and resources necessary for our current meat-based diets (Food Choice and Sustainability). While it is important to continue researching alternatives to fossil fuels, nothing would have a greater and more immediate impact than transitioning, en masse, to a vegetarian or vegan diet. As a university, we could promote this fact so that it is well understood by our students and staff. We could also promote this in our cafeterias as a basis for walking the walk of sustainability. At our own university, the Food & Drinks department has done much in recent years to improve the number of healthy choices available for lunch, including more vegetarian options. But we could certainly go a step further and provide more information to our employees about the health risks and especially the environment devastation caused by daily meat eating. This could begin by promoting statistics in our newspaper, by hanging posters in our cafeterias, and by inviting international scholars such as Dr. Richard Oppenlander to speak about livestock’s impact upon our environment including massive deforestation (especially the Amazon), desertification, and the pollution of the oceans. In short, livestock agriculture is not only consuming all of our natural resources: it is also contributing to global poverty and starvation. Our overconsumption of meat and fish is truly one of the least understood facets of our current environmental crises and one that will inevitably lead to the extinction of both homo sapiens and thousands of non-human species. I hope that as leaders of the intellectual world, our university will take greater initiative in spreading the message of sustainability by making concrete guidelines highlighting the necessity to drastically change our animal-based diets. Educating students and staff about the fundamental need to switch to healthier, kinder, and environmentally sustainable diets would also provide benefits in many areas of our body politic, from reducing health costs because of decreases in heart disease and cancer, to improved quality of life because of weight loss and increased energy, to the improved and more humane working conditions of agricultural workers, to the reduction of air and water pollution near farms, rivers and oceans and, of course, to the reduction of desertified lands from over-grazing, fertiliser run-off, and soil erosion. A second area in which we could walk the walk of sustainability is to encourage our employees and students to purchase not more electronic devices, but fewer. The recent campaign to encourage university employees and students to purchase iPads was similarly symptomatic of the disconnect between current sustainability rhetoric and the ultimate unsustainability of our current consumer-based economic system, a system which depends upon both exponential growth and the continued manufacturing of consumer goods which are neither good for the environment nor conducive of happier, more sustainable lives. Many electronic devices even support the mining of environmentally destructive minerals such as coltan, which has led to abusive child labour practices and large-scale dumping of tech waste in the global south. We should encourage our employees and students to consume fewer electronics and to find ways of spending their days in ways that reconnect them with the natural environment, rather than further disconnecting them. A third area where university staff could become more aware of the disconnect between our desire for sustainability and our daily behaviours is the ways that we consume water. If we truly want to promote sustainability, then we should ban the sale of bottled water and other high fructose beverages in the university. These beverages are often sold in highly polluting plastic bottles that often end up in our rivers and oceans. This form of consumption has lead to such polluting extremes as ocean acidification from the excess of garbage, chemicals, and especially plastic. 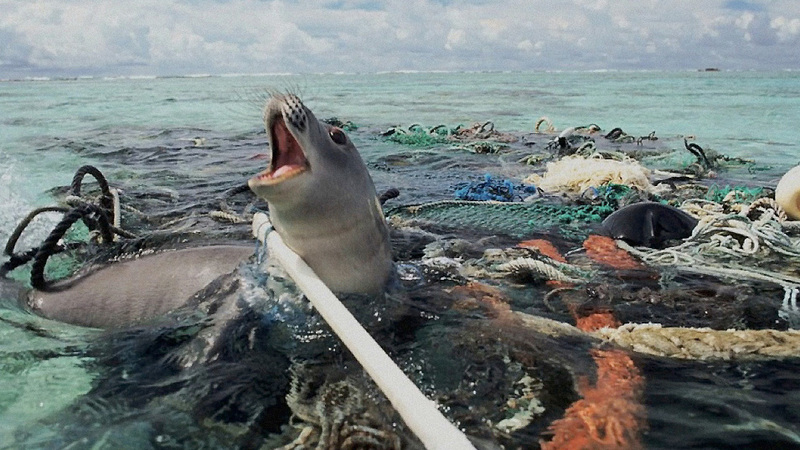 Many of us have seen videos of the vast masses of plastic swirling around in the Pacific Ocean. This unimaginable pollution of a resource that is absolutely fundamental to our very survival is really very hard to accept in terms of sustainability. It is time we begin to take more drastic measures and stop, completely, the sale, consumption, and disposal of plastic containers. The first step would be to implement water fountains throughout university buildings. These would provide places for staff and students to fill up their personal containers, which they can then re-use. This also saves land resources by avoiding the purchasing of highly degrading cash crops such as corn syrup, the derivative (corn) of which could be fed directly to humans rather than sold in highly processed, unhealthy beverages, which ultimately lead to expensive health problems such as diabetes and obesity. Finally, as a university, we could certainly set a better example in terms of preserving and learning about the value of green spaces and trees in our communities. Although the campus of the RUG is very old and obviously doesn’t accommodate many green spaces, the few spaces we have could be better protected and maintained. At present, most of the trees on campus are over-pruned and even ‘topped’ which means that these trees’ lifespans will be severely shortened as topping and/or over pruning reduces the tree’s protective layer, limits photosynthesis, and promotes rotting and pest infestation. Because of budget cuts in Groningen, many trees and green spaces are currently aggressively pruned or reduced, which means we are left with so-called ‘lion’s tails’ trees and fewer varieties of plants. In arborist terms, trees reduced by topping or severely raising canopies inevitably die because of a lack of photosynthesis capacity. Because of the short-term financial thinking of current city policies, the biodiversity of urban forests are greatly compromised. In response, local green activists throughout the country are beginning their own chapters to educate and combat such long-term destruction because of budget cuts. The Bomenridders Groningen is one group aiming to educate and lobby to preserve urban green spaces in Groningen. Our university should be promoting such activities and not contributing to the destruction of our trees and limited green spaces – that is if we truly want to be sustainable. If we value sustainability, then we will better learn how to apply this term not only to our own research labels, but in terms of protecting the environment directly around us. We will finally take responsibility for our own daily actions, and begin educating our own students, staff, and surrounding communities on the drastic steps necessary to save planet earth. This may be the last chance we have to make such a change and we owe it to those other wonderful and complex beings with which we (once) share(d) this planet to make sustainability something for all. It should also be something for the generation of humans who will (possibly) inherit our planet. Let’s walk the walk and stop mindlessly adopting ‘sustainability’ as a great marketing slogan to improve our international research ranking.